BECCA CAMPBELL is a twenty-three-year-old woman who will do great things in her life. 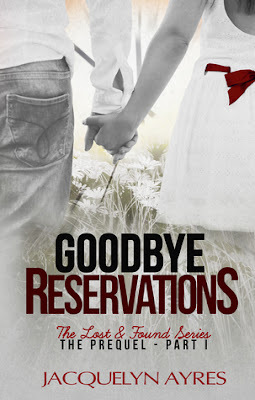 Goodbye Reservations is the prequel to the 3 Lost and Found books – Goodbye Reservations, Goodbye Secrets and Goodbye Uncertainty. 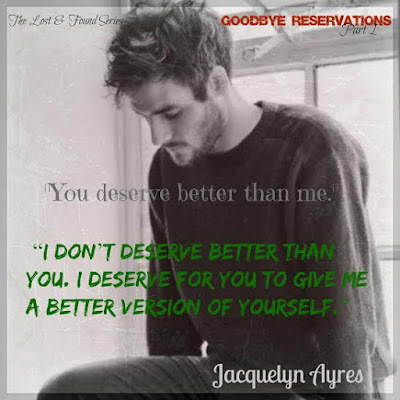 If you haven’t read them – to be honest you need to stop reading this review, bookmark it, go buy and read them (they are now available in a boxset **whoop whoop**) and then come back to this review! Jac takes us back to 1999…fledgling internet, cell phones and Becca is 23. She’s going through some tough times and this book is a great insight into what forms and shapes her. And she is a snarky and funny as ever! Once again Jacquelyn Ayres has nailed these characters! 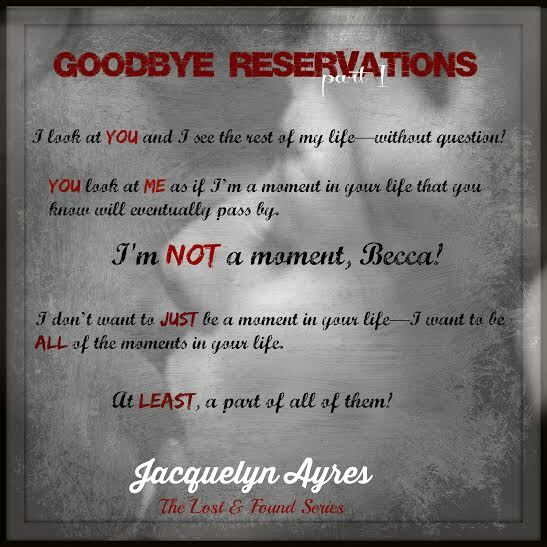 You will laugh – you will cry, you may also find yourself meeting a few new people, or at least getting to know existing characters better. **chants** I want Derek’s story and I want it now! !